The United States Department of Defense combat support agency, the Defense Information Systems Agency (DISA), will close its data center in St. Louis, Missouri. As part of a wider federal data center consolidation initiative, the agency will also cut staff at a number of its facilities around the world, shifting to a “lights dim” status. 140 civilian positions in St. Louis will be eliminated or realigned with the closure of the data center. The agency’s data centers in San Antonio, Texas, a faciliy in Europe, and one in Bahrain will see a reduction in staff over the next 30 months. The exact size of the data center in St. Louis is not known, but a 2009 document reveals that the agency’s facility in Montgomery, Alabama, offers more than 45,000 square feet (4,180 sq m) of raised floor space. Further, albeit outdated, clues to the size of the St. Louis site can be gleaned from a 1998 audit report on DISA’s ‘Defense Megacenter’ consolidation attempts. The audit found that St. Louis had 108,278 square feet of usable space - including 24,737 sq ft of conditioned space, 40,238 sq ft of easily convertible space and 43,303 sq ft of other convertible space. 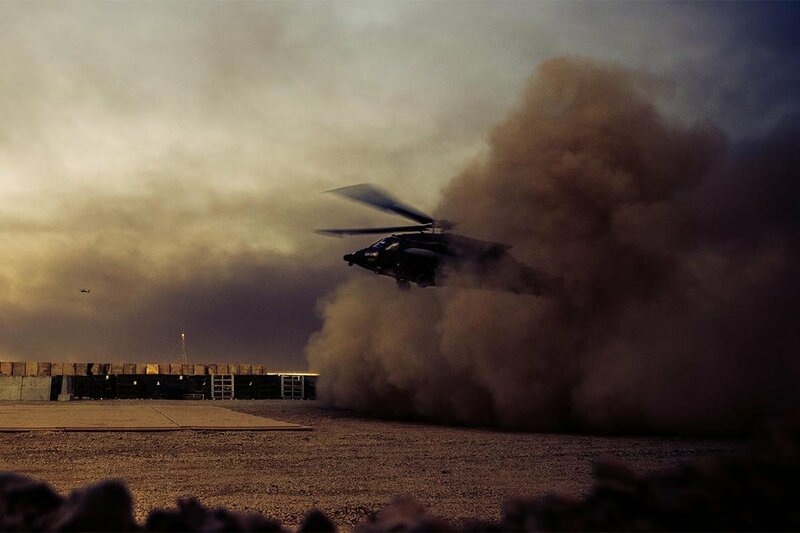 More recent information can be obtained in a Defense-Wide Fiscal Year 2019 Budget Estimate document by the Office of the Under Secretary of Defense Comptroller/CFO, dating from February 2018. Approximately 317,000 square feet of raised floor. 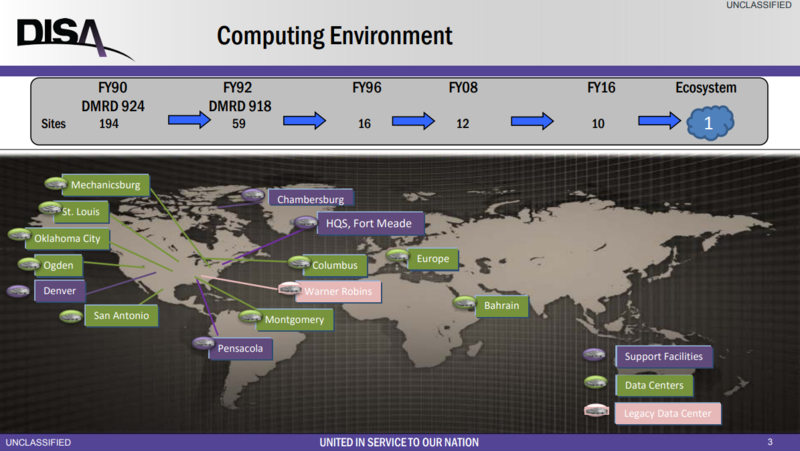 The document also reveals that DISA plans to operate a new ‘Core Data Center’ in Fort Shafter, Hawaii, with a yearly operating cost of more than $1.6 million, and another in Yokota, Japan. A ‘Core Data Center’ is DISA’s term for a Tier III capable facility with 99.98 percent availability. It is not known if DISA plans to continue with the data center expansion, as it consolidates elsewhere. Late last year, it spent $10.7m upgrading the power capacity of its campus in Columbus, Ohio. In 1989, the DoD began reducing the number of data centers as part of the Defense Management Review Decision (DMRD) 924. A 2017 presentation by Tony Purvis, chief of DISA’s computing ecosystem, noted that the agency had some 194 sites back in 1990 - although that number presumably includes smaller data centers and data halls within government buildings. For almost 30 years, the Department of Defense, and the federal government as a whole, have attempted various data center consolidation efforts - with varying levels of success. DISA now says it expects to realize cost savings of more than $695 million over the next 10 years, both from consolidation, and from the restructuring of contract requirements.